I’ve come across a couple of interesting events that you might want to sign up for next month: one in Bellevue for the urbanites, another in the North Cascades if a little road trip sounds good. First, the road trip. 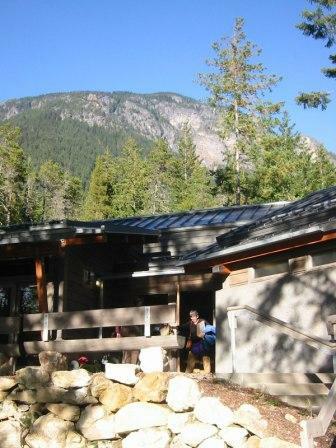 May 17 and 18, Maria Hines will be a guest in the Sourdough Speaker Series at the North Cascades Institute. 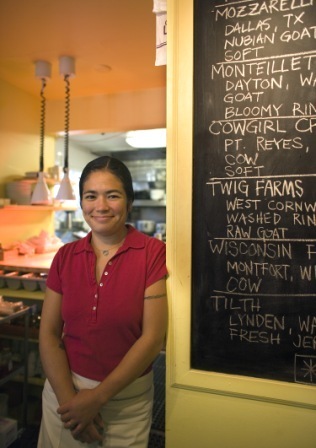 Maria is the chef/owner of the amazing Tilth restaurant in the Wallingford neighborhood of Seattle. She’s a dynamo, no doubt. A passionate chef, she’s devoted to foods and production practices that are as good for the earth as they are for our bodies. So much so that she’s had her restaurant certified as organic by Oregon Tilth, one of only a few restaurants in the country to gain such a distinction. I’ve been a fan of Maria from her time at Earth & Ocean restaurant (a stint during which she was named a Best New Chef by Food & Wine magazine) and it’s been outstanding to see her develop her own voice and personality as a chef now that she’s her own boss. Other accomplishments are noted in a previous post, she’s got some mighty momentum going. Her talk at the North Cascades Institute will reflect on her inspirations and motivations with regard to cooking and eating. A menu of her recipes will be served just prior to the talk Saturday evening, with a continental breakfast on Sunday and an opportunity to enjoy a couple of naturalist-led activities before heading home. Your overnight accommodations are included in the $95 per person price. Bunk beds and communal facilities, but really quite nice, we were very comfortable! Last fall I had occasion to spend a weekend at the North Cascades Institute when good friend Christina Orchid, chef/owner of Christina’s on Orcas Island spoke in this same series. I had the honor of introducing her that night, for her post-dinner talk entitled “Recipes and Tales from a Northwest Island Kitchen.” We supped on arugula flatbread with Beecher’s Flagship cheese, roasted garlic soup, Cornish hens with squash risotto and dessert of apple fritters with buttermilk ice cream. What an evening of great food, great stories and more than a few laughs. It’s sure to be just as special next month, when Maria takes the “stage” (more an informal gather ’round discussion, living room style). 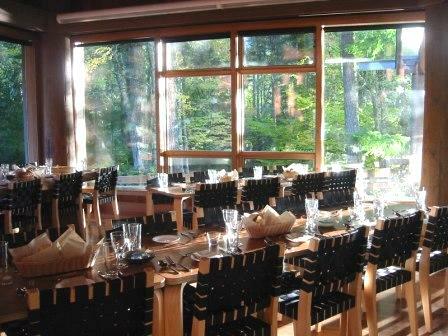 Her menu will feature Skagit Valley foods, with Skagit River Ranch a partner in the proceedings. After your dose of fresh mountain air and that wonderful farm-to-table dining experience in the Cascades, it’s time to sit down for a glass of wine in the big city! We’re longtime fans of Inside the Actors Studio, so the notice about the upcoming Inside the Winemakers Studio class particularly caught my attention. Seastar restaurant in Bellevue is in its fifth year of “Wine School,” this class the fourth and last in its current season. Erik Liedholm (his is the charming mug to the right), director of wine and sommelier at Seastar is joined by another of the restaurant’s sommeliers, Lars Ryssdal, and special guest sommelier Shayne Bjornholm (who was the celebrated sommelier at Canlis for a number of years, now education director for the Washington Wine Commission). They dub themselves the Scandinavian Wine Hacks, just to prove they they are resolute about not taking wine, wine tasting or wine education too seriously. Together these gentlemen know pretty much everything there is to know about wine, but all three are incredibly down to earth. Don’t be afraid to ask about rosé spritzers or what wine to serve with your grilled burgers. This will surely be a dynamic, lively, fun class at which you’ll gain some insights about the world of winemaking from one of the best: Greg Lill, owner of DeLille Cellars. The first part of the evening will include a question and answer session, à la James Lipton. 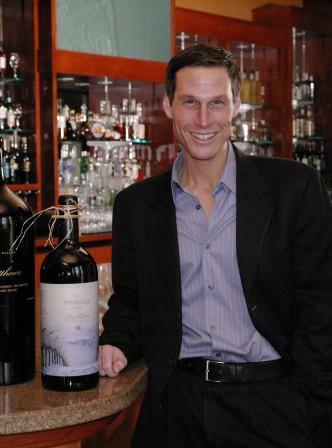 Then students will delve into sipping and sampling the outstanding wines that DeLille Cellars creates. An evening not to miss! I might even show up.